Make Riata Inn Rankin your home away from home and stretch out in the most spacious accommodations in the area. Offering the only hotel rooms in Rankin, Texas’ city limits, our property offers an ideal location in reach of downtown, while still offering you convenient access to the highway and the rest of Texas and Upton County. With a wealth of versatile room choices, you are sure to find accommodations to suit your needs. Whether you are visiting us with a group, the family, for work, or on an extended stay, Riata Inn Rankin is uniquely equipped to satisfy your needs. 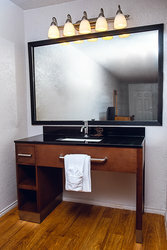 Our hotel rooms in Rankin, Texas are punctuated by thoughtfully-appointed amenities to ensure you have a comfortable stay. Many of our rooms offer a sleeper sofa to provide extra space to sprawl out in the evenings while watching your favorite shows on the flat-screen television. Our in-room TVs have access to premium channels like HBO, and you can make use of kitchen amenities like a mini-fridge and a microwave to enjoy late night snacks, quick meals, and cold beverages. Some of our hotel rooms in Rankin, Texas offer a full-sized fridge, which are available by request. Find irons and ironing boards at our front desk. 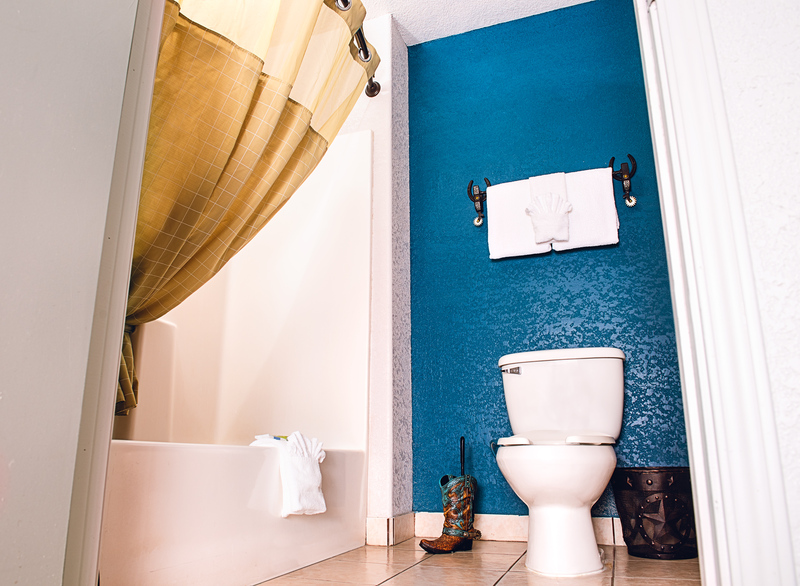 At Riata Inn Rankin, it is our mission to make our accommodations accessible and functional for each and every guest. Those in need of accessible amenities will take comfort in our roll-in showers, lowered vanities, seats in the showers, grab bars, and ramps to assist you with leaving and entering the room. 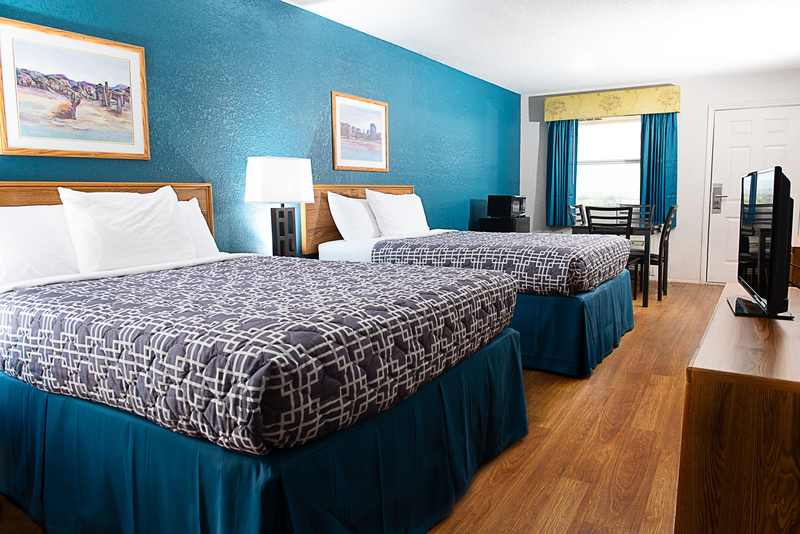 Browse our accessible accommodations below and book your hotel room in Rankin, Texas today! Planning an extended stay or group visit to Rankin? Fill out our Extended Stay RFP or Group Booking RFP today! Perfect for a visiting family or a small group, our 2 Queen Room can easily accommodate 4 guests. Spend your evenings in front of the flat-screen TV watching your favorite HBO television shows. Our only smoking accommodation, this spacious 2 Queen Room is perfect for workers who smoke or small groups who wish to smoke indoors. Delight in the large room and the comfortable queen-sized beds. 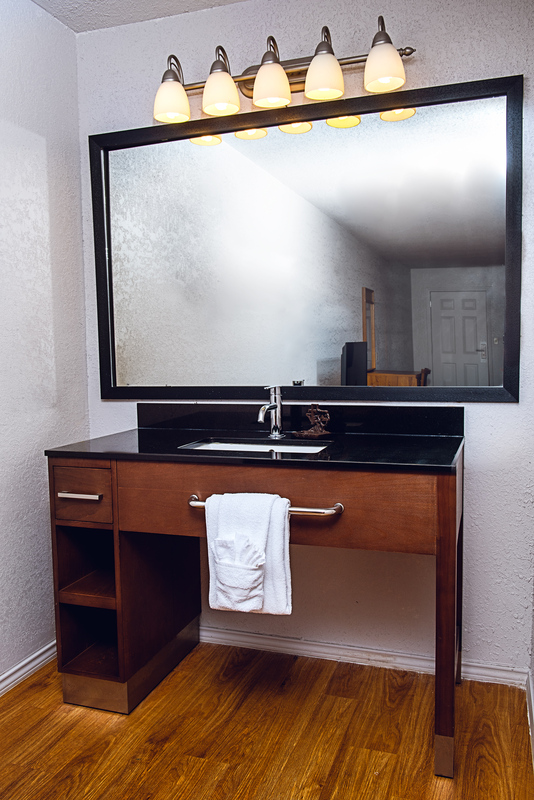 Our ADA Accessible King hotel room in Rankin, Texas offers a wealth of accessible amenities such as roll-in showers, shower seats, grab bars, and more. 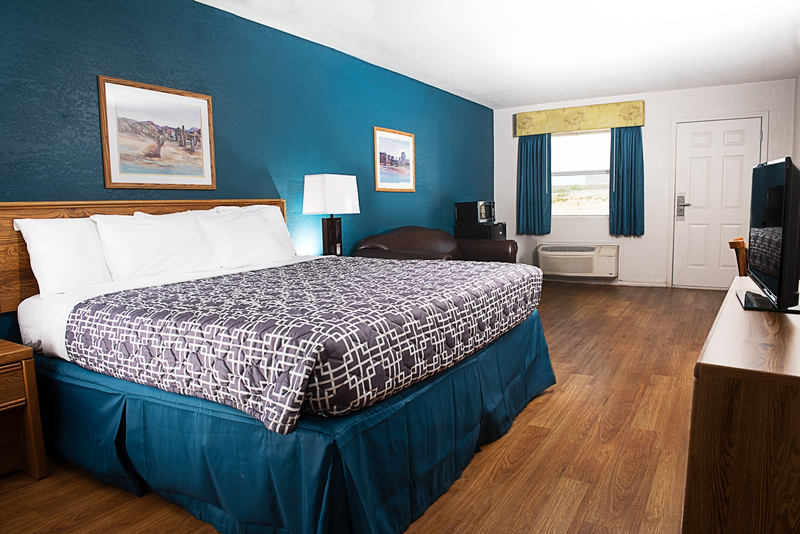 Ideal for any guest with additional needs, this room offers all of the conveniences of our standard accommodations. This room also boasts a sleeper sofa for additional relaxation and hosting space.